petition: Demand Justice for Bangladeshi Student Protesters Beaten, Jailed by Government! Demand Justice for Bangladeshi Student Protesters Beaten, Jailed by Government! Violence dominated much of Bangladesh this past week as peaceful student protesters faced swift and violent oppression at the hands of a student group linked directly to the nation's ruling party, the Awami League. This violence was paired with an almost total internet blackout in Dhaka, allowing counter-protesters to commit atrocities without the outside world being aware. So severe and traumatic was this campaign that since, student protesters have resigned to accepting defeat. 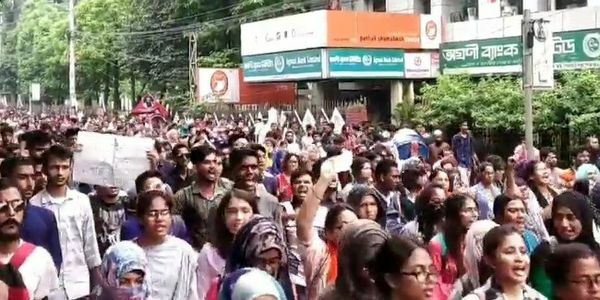 As it stands, the Bangladeshi government is working hard to determine the identities of student protesters, no doubt with the intent to prosecute and punish them for violating a federal law which forbids criticizing the government on social media. An untold number of demonstrators have been arrested and their fates remain uncertain. Because it seems likely that not only will these individuals not see genuine justice but also that the government youth group responsible for the violence will not face any consequences, the international community has a responsibility to conduct an independent probe into the events that transpired in Bangladesh. Tell the United Nations that this is the exact situation it was formed to deal with by adding your name to this petition! Together we can find justice.